Will California Bullet Train Travel Be Worthwhile? They were first seen in farmers markets. Next, they were asking for signatures outside big-box stores. 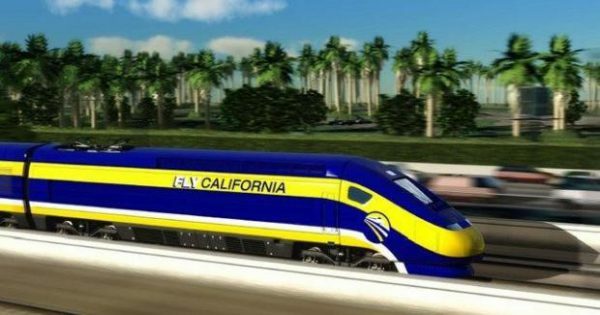 Finally, the young idealists successfully rallied the people behind the idea of the California High-Speed Rail, also known as the California Bullet Train, a massive project that would allow passengers to ride between Los Angeles Union Station and San Francisco’s Transbay Transit Center in a mere 2 hours and 40 minutes. They also plan to build extra tracks going down through Anaheim, all the way to San Diego in the south, and an alternate track running to Sacramento in the north. For many, this sounds like a dream come true. However, it might be time to admit that the project may only work in theory. How Off-Track Has This Gone? Earlier this year, it was announced that the cost of building 119 miles of track in the Central Valley has already surged beyond the original estimate of $6 billion. It is now $10.6 billion, and the project has barely begun, despite construction being approved by California’s Governor Jerry Brown in 2012. These cost estimates are just for the Central Valley. The current conservative estimates of the total cost of the project are now at $98 billion, more than double what the voters approved in Proposition 1A back in 2008. Possibly worst of all, the project won’t be completed until 2029, when those young idealists will be in or near their forties, and Jerry Brown, the governor who made this all possible, will be at least retired and might even, by then, be riding the great train tracks in the sky. With the astounding speed new technology develops these days, the California High-Speed Rail might even be obsolete before they’re done building it. How Will the Train Be Worth This Hassle? Let’s take a step back from all the insane statistics of failure. What do we want from a California bullet train, in the beautiful, hypothetical future where the undertaking is successful? Is there any one thing, aside from the massive convenience of the quick travel time, that will make riders choose a train over an even shorter flight? Many airlines have been offering cheap in-state flights for years, so how can the California High-Speed Rail compete? One option is to give the passengers room to breathe. While those who stand to profit from the train may want to pack riders in like sardines, much like the coach section on most commercial flights, the ability to stretch their legs out could certainly sway even devoted members of Frequent Flyer’s programs. However, there may be a rush to recoup all the money spent on the project. Those at the top might think the easiest way to do this would be to cram as many seats as possible onto the train, then charge as much as they think people will pay for them. If they do this, the whole endeavor could fail, wasting billions of taxpayer dollars and two decades of planning and hard work. Very few people will choose a longer travel time if both cost and comfort are comparable to the less time-consuming option. As an alternative, to both boost income and attract riders, the California High-Speed Rail needs to have Wi-Fi, or whatever new internet connectivity may be available in 2029. They can charge a usage fee, just like most airlines do. This way, people can while away the commute on their phones, playing their games, reading their emails, or even completing their traffic school online. Many people hate flying, for a variety of reasons. If they are given a traveling option that is almost as fast as flying but more comfortable and just as secure, they will be happy to pay an extra five or ten bucks for the Wi-Fi. This will allow the project to remain financially feasible, and all the critics will have to admit the trials and tribulations were worth it in the end. Ultimately, California will remain a leader in new and innovative technology.